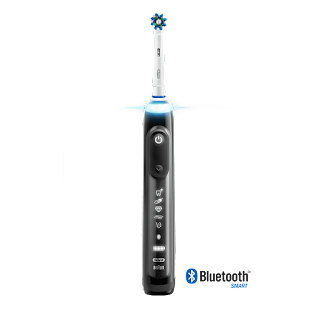 Living a Fit and Full Life: Know You're Getting a Superior Clean with the New Oral-B Genius Pro 8000 Rechargeable Electric Toothbrush! 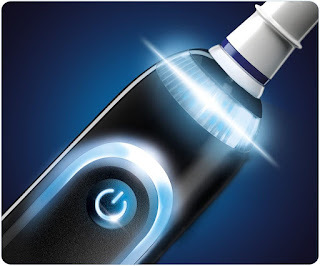 Know You're Getting a Superior Clean with the New Oral-B Genius Pro 8000 Rechargeable Electric Toothbrush! 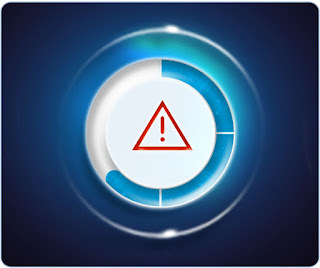 Enjoy healthier teeth and stronger gums for life with the Oral-B Genius 8000 electric toothbrush, featuring the professionally inspired CrossAction toothbrush head. 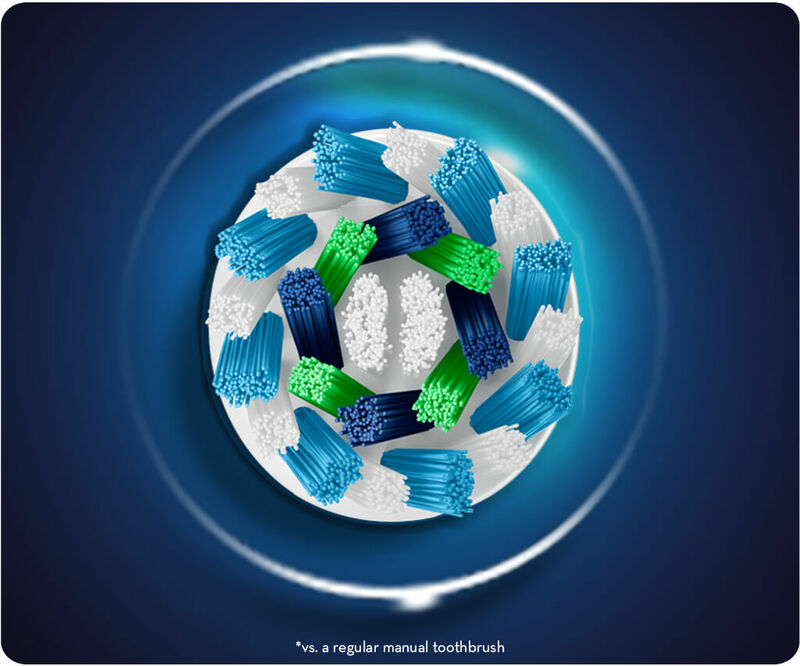 The round head is specially designed for a tooth-by-tooth clean, and its criss-cross bristles are set at a 16-degree angle to reach deep between teeth to lift and power away up to 100% more plaque for a superior clean vs. a regular manual toothbrush. The Oral-B Genius 8000 toothbrush features a Lithium Ion battery and smart travel case that’s designed to charge both your toothbrush and smartphone using only one outlet, all while delivering long-lasting, consistently powerful cleaning action for up to 12 days between charges. 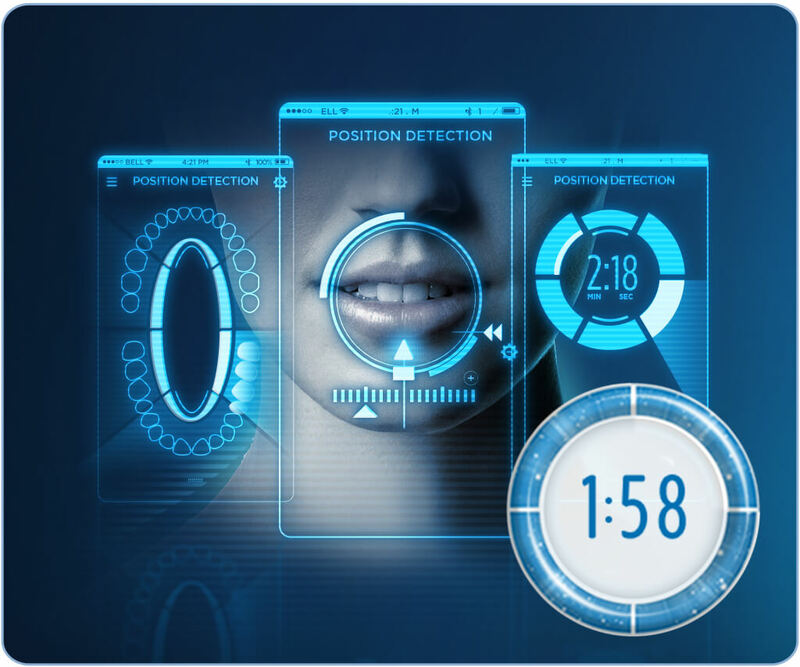 Discover the next lever of oral care innovation, brought to you by Oral-B, a worldwide leader in toothbrushes. Each Oral-B electric toothbrush provides a superior clean vs. a regular manual toothbrush. 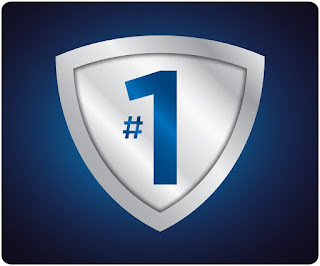 Find your perfect electric toothbrush from Oral-B – the #1 dentist used and recommended brand worldwide*. Know you're getting a superior clean with the new Oral-B Genius Pro 8000 Rechargeable Electric Toothbrush! I'm completely in love with how well the new Oral-B Genius Pro 8000 Rechargeable Electric Toothbrush cleans my teeth. I'm not a fan of dental work so I do my best to keep my teeth clean and healthy so that I only have to visit the dentist for my 6 month cleanings. 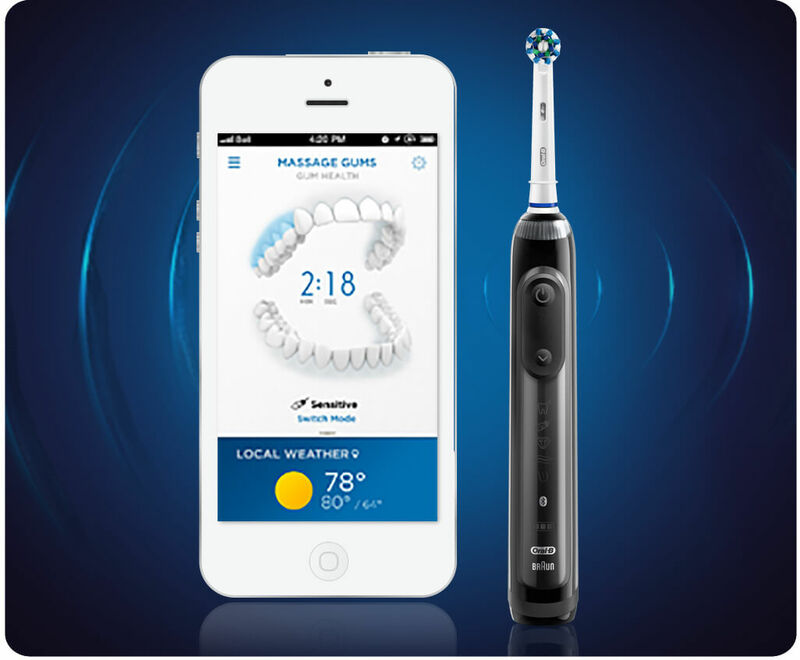 However, I often need a little guidance and now thanks to the Oral-B app on my smartphone I can get real-time feedback while I clean for improved brushing habits. 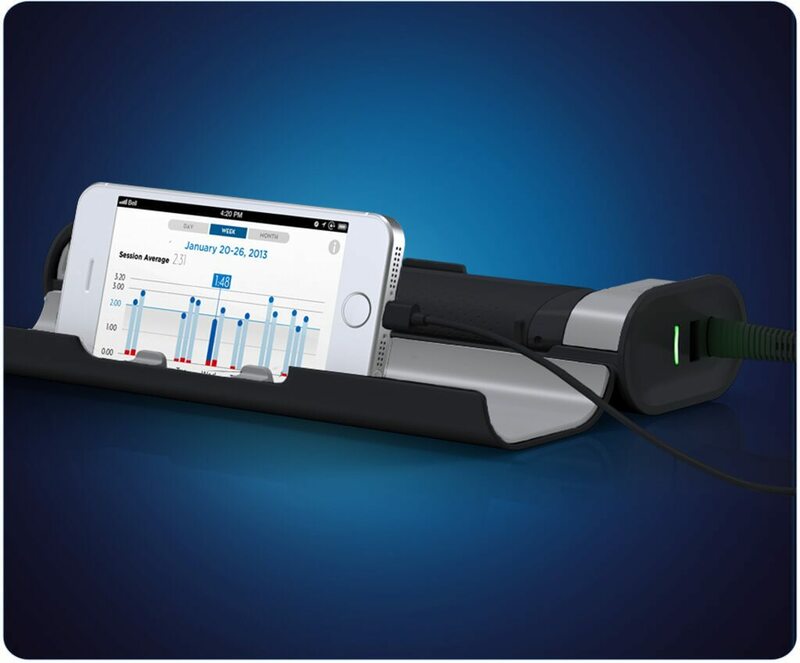 The new Oral-B Genius Pro 8000 Rechargeable Electric Toothbrush and app also provide time coaching to make sure you brush the recommended 2-minutes and includes a pressure alert to protect your gums from over-brushing. 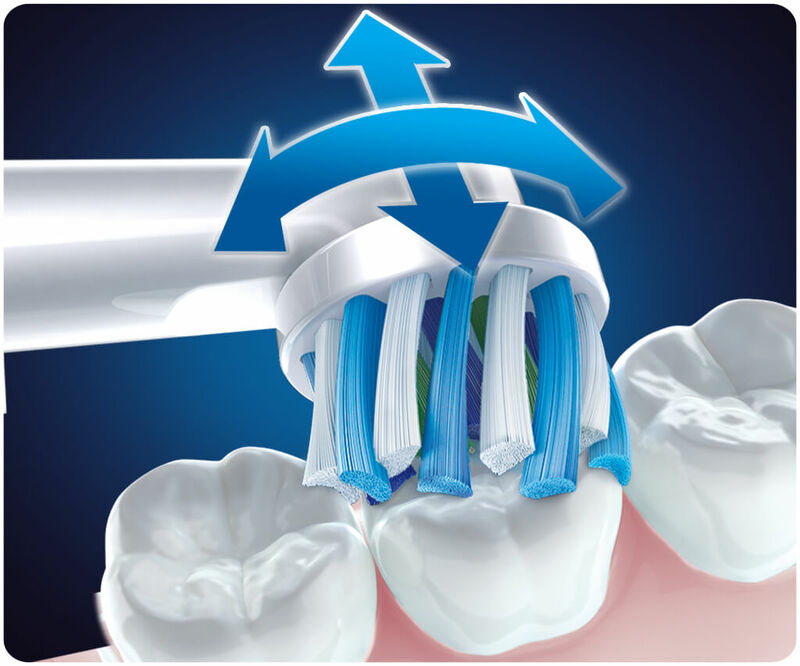 I also love that this highly advanced brush features a dentist-inspired round head that surrounds and cups each tooth with dynamic oscillating, rotating and pulsating movements to remove up to 100% more plaque than a regular manual toothbrush. After my very first cleaning I could feel how amazingly clean my teeth were and now that I've used this toothbrush for a couple of weeks, it's by far my favorite way to brush. 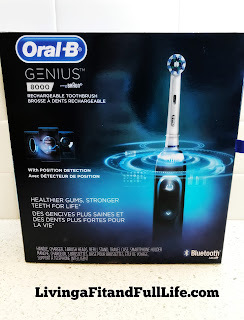 The new Oral-B Genius Pro 8000 Rechargeable Electric Toothbrush is the perfect way to keep your teeth healthy and happy and I highly recommend it!